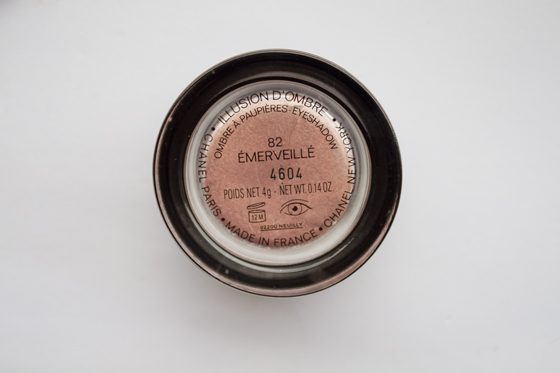 Chanel Illusion d'Ombre in Emerveille is a soft peach with a goldy champagne shimmery sheen. It sort of reminds me of MAC All that Glitters in a different form. The formula is really unique, I've never tried anything like it before. Its a gel like texture that feels like a soft mousse, sort of puffy and cushiony. They have a "bounce back" feel when you touch the product. 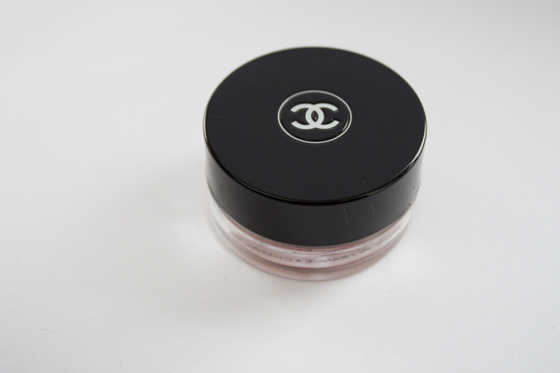 Chanel Illusion d'Ombre wear really well, around 12 hours without primer, no creasing no fading, it doesnt move and it doesnt smudge. 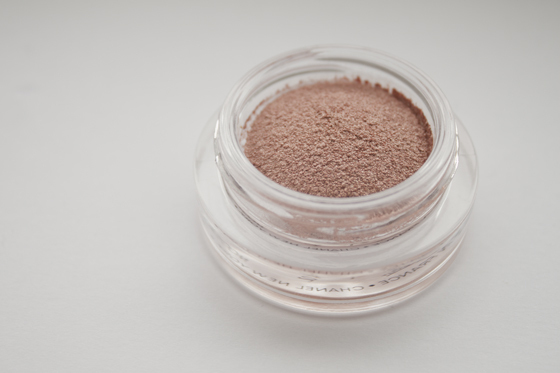 I wear it all over the lid and then in the inner corner and slightly smudged under the eye. I think its absolutely beautiful. Honestly this is my favourite product I've bought in 2011. I can wholeheartedly say I'd buy this again if I ran out again. 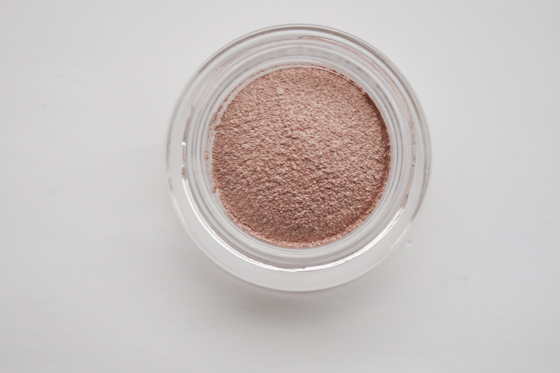 Its quick and simple to blend out, can be worn alone or as a base under another product. It is expensive, but I really do think its worth the money, Plus its Chanel... which to me is one of those "justifiable" brands! Highly recommended! Sorry there isnt any photos of it in use, I have very little lid space when I open my eyes and dont really like swatches! But if you look at any of my blog photos where Im not wearing pink eyeshadow,Im wearing this. i just bought one in ebloui, love love love it, the little brush that comes with it is such a bonus too!